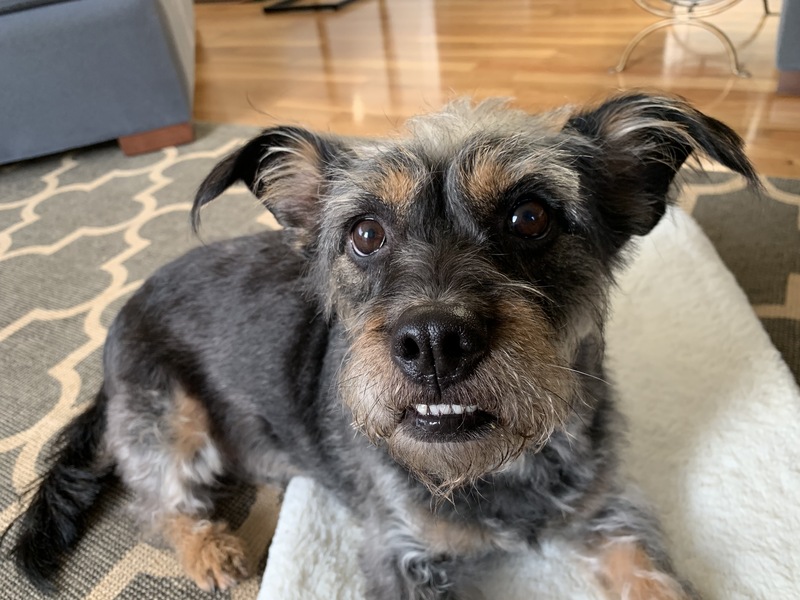 For this Santa Monica dog training session, we teach 2 year-old Terrier mix Poppy to focus to help his guardians redirect him from acting aggressive to other dogs. We started out by going over some creative ways to exercise. This simple addition to a dog’s daily schedule is a great way to help put them into a position to succeed. Next I shared a number of ways to flip the leader follower dynamic. Many people dont even considering rules or boundaries for their dogs, but these are great ways to hep the dog see and respect you as an authority figure. As a dog behaviorist I have found that creating a healthy leader follower dynamic is crucial when you are trying to stop a dog from acting aggressive to other dogs. Often times, a dog starts to stare and fixate on a dog before it starts acting aggressive. Usually the aggressive behavior only starts once a dog gets too close. The distance is different for every dog, but once the dog is far enough away, it doesn’t see it as a potential threat and stops acting aggressive. Ie had great success stopping dog aggression by teaching a dog to focus on its guardian on command. This is a great way to redirect a dog’s attention and if you teach the focus exercise like I do, it stops the production of cortisol, the stress hormone. You can learn how to teach a dog to focus in the free dog training video below. Once Poppy can focus for 15 seconds in distracting environments, his guardians can start to use the focus command to get to look at them and away form other dogs before he reacts. Training a dog to focus is all about going slow and gradually increasing the duration. A big part of stopping dog aggression is getting the dog out of situations where it would normally act aggressive so it doesn’t feel the need to protect itself. To help the guardians remember all the tips to stopping dog aggression I shared in this in home dog training session, we shot a roadmap to success video.